and I don't mind it one bit! 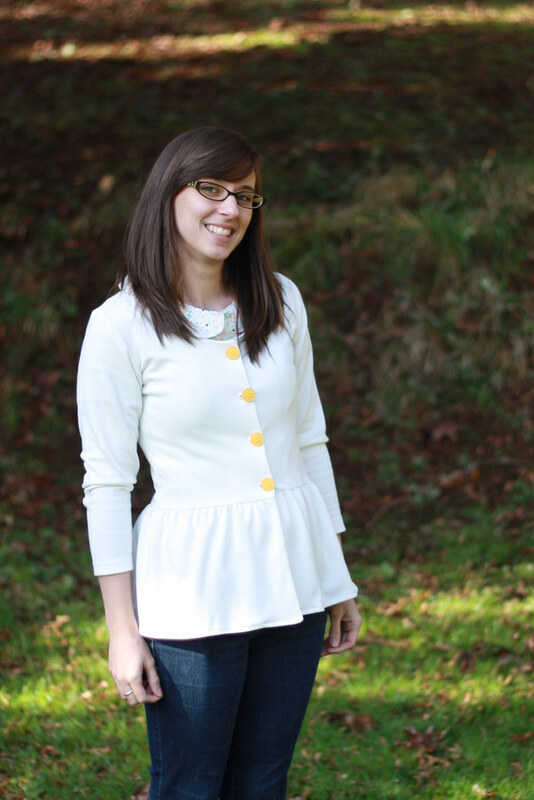 Today I'm here to share this Penelope Peplum from See Kate Sew that I stitched up for myself. and turned it into a little springy cardigan. 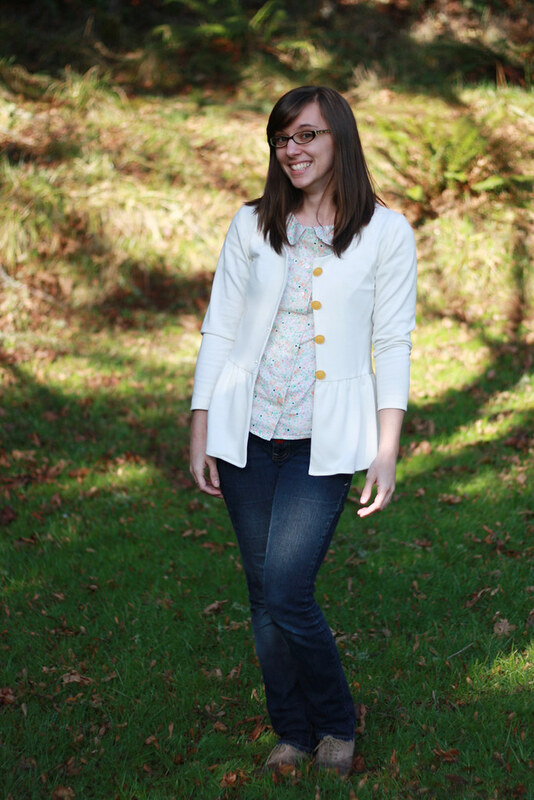 It's now my favorite little cardigan in my closet! The pattern is so quick and easy to sew up. I definitely would have had this done, start to finish in a day. 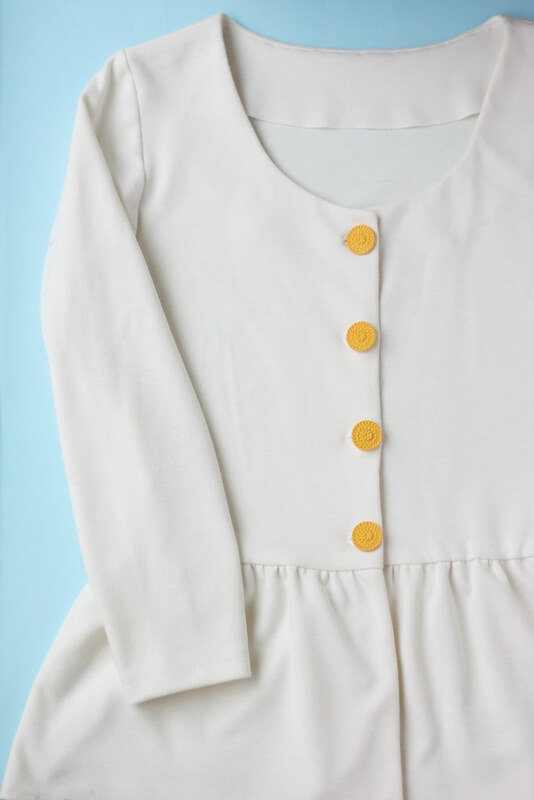 adding a bit for the button placket areas to overlap and for seam allowance. I also had to alter the front facing patterns to extend all the way down the front of the shirt. I would love to try a fun contrast binding for the neck and front instead of a facing. The fabric I used was a cream knit I found at the thrift store ages ago. and I've been holding onto it waiting for the perfect cardigan pattern to come along. 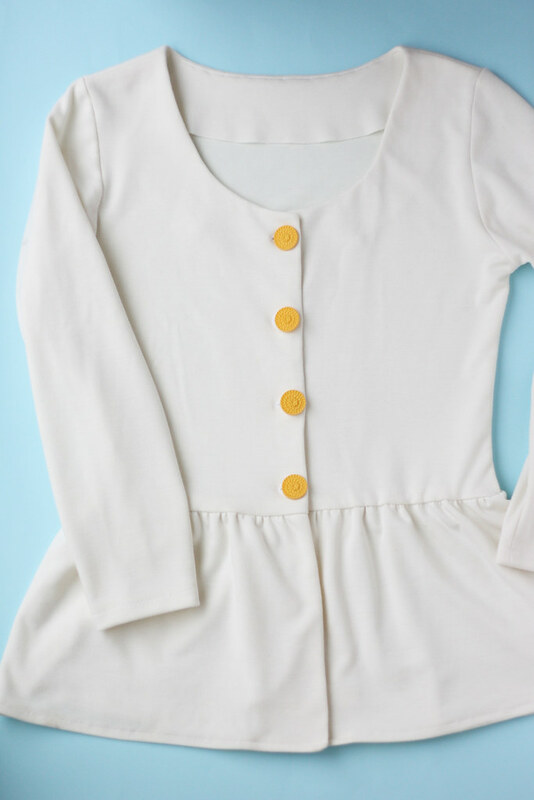 It is so perfect for this little Peplum I can't believe it! 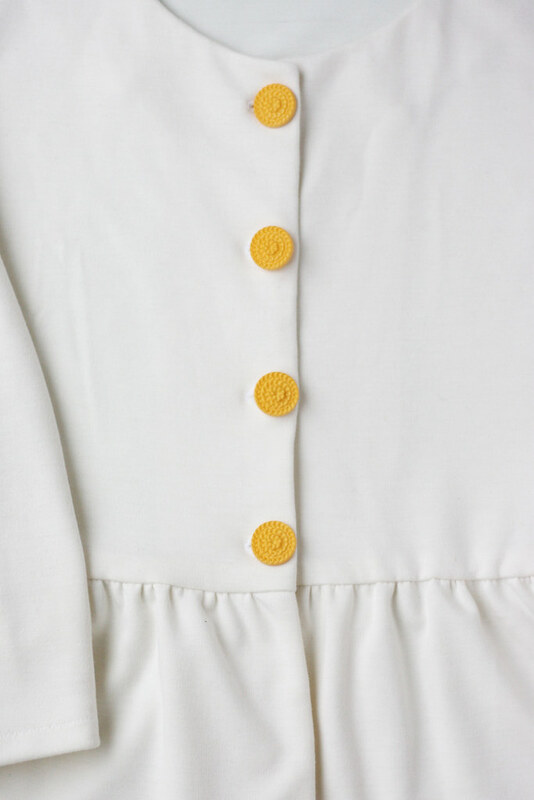 The buttons are also a favorite I've been hoarding for just the right project. This clean sweater is the perfect backdrop for those cheery yellow darlings. I am so ready for spring to get here! Be sure to pop over to See Kate Sew to see the rest of the peplums being sewn up! I really love this...it makes me want to make one right now! I have mine cut out but it won't be a cardigan. But now my next one will be, thank you. it looks fabulous as a cardi!